3LAB's Guide to Luxury Living: Baby, It’s Cold Outside!!! We’re enjoying the snow on the East Coast and hope that everyone else is! Winter weather can be harsh on your skin leaving it dry and dullness. But remember, no matter what your skin type, never leave the house without a good moisturizer. 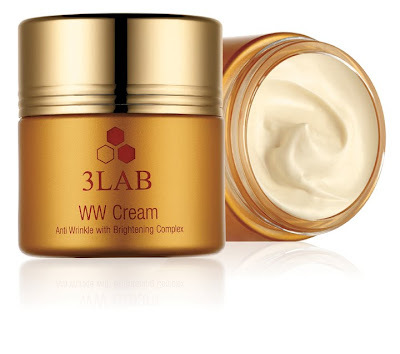 Our favorite is the WW Cream which hydrates while combating and preventing uneven skin tone, facial lines, wrinkles, and plumping up the skin. So go out and play in the snow like you did when you were a kid and let us worry about keeping your skin looking the part! For more information, please visit http://www.3lab.com/.